where can I find the hookshot? Oh, sorry. The hookshot is for sale in the same shop. You don't hookshot the post, you push it. The screen is one screen left, and one screen up from the start. There are three green hookshot posts. Push the rightmost one to open the shop. 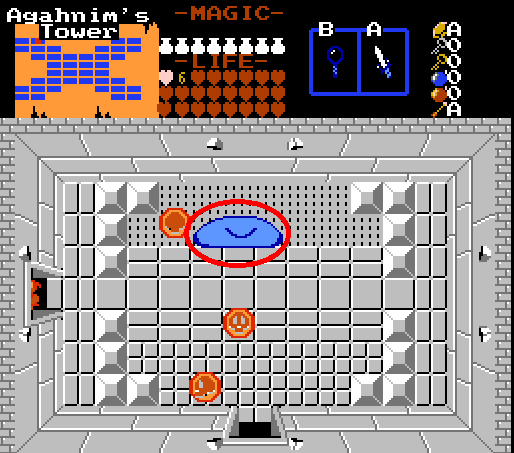 You will want a lot of rupees for this: The hookshot is 100, the hammer 150, and the flippers 200. Most of the items in this quest are in shops. Ignore the wallets, as the W500 costs 300, and you can't carry more than 255 rupeesz. There are no free wallet upgrades AFAIK. The bracelet is very important. If you don't have it yet, it's three screens left, then three screens up from the start. Cut the colourfull tree to reveal it. You will need it to get the Lens of Truth, which is one screen up, and three screens right of the start. You either need the ladder, or to go around the long way. Also, instead of making a new post for each new thing that you want to write, try using the Edit button to edit your previous post. You can only harm it when it's eye is visible. And from the looks of things. Your gonna need L3 Arrows. There are no Lv3 (Gold) arrows in this quest. 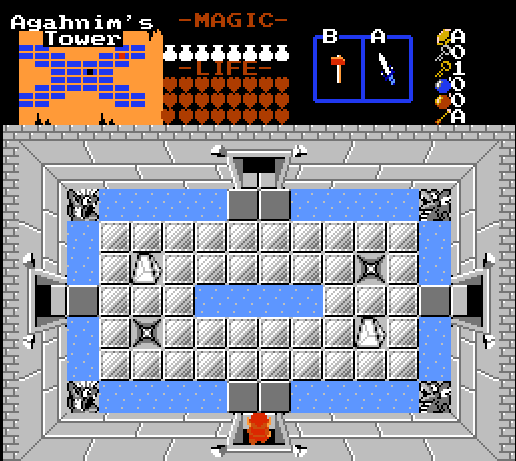 Normal arrows are on the overworld, but silver arrows are in this level, in the bottom right quadrand in a room with a Patra and a hoard of Wallmasters.